“We interrupt our regularly scheduled programming to bring you this Special Report from ABC News,” said the announcer, as my heart upticked in anticipation. Has one of the local wars around the world blossomed into a nuclear holocaust? Has an assassin’s bullet found the president? Is a major U.S. city a smoldering ruin thanks to a terrorist attack? Involuntarily, my mind reeled back to that November afternoon more than 50 years ago, when TV brought us the stunning news that President Kennedy had been shot dead in Dallas. What new calamity could this be? None of the above – a celebrity had died. The announcer, a square-jawed 20-something guy in a somber suit and serious demeanor, stared reassuringly into the camera. His hair was piled high on his head – dense, yet richly textured – like a freshly-baked chocolate souffle. 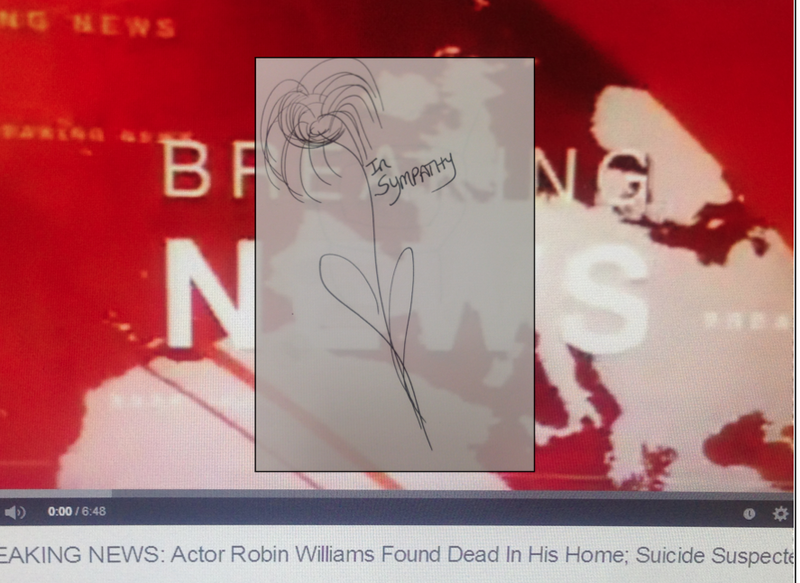 Look, I loved and admired Robin Williams as much as the next guy. It seems anyone with a glimmering of talent today is called a genius, but he was the real thing – a comic tsunami, a dead-on, rapid-fire impressionist with both precision timing, and wickedly hilarious things to say. Loved him. But have we really become so frivolous as a society that the death of a comic actor – even a transcendently talented one like Robin Williams – is considered breaking news that merits stop-the-world treatment? Has Entertainment Tonight hijacked the news? No disrespect to Robin, but except for his immediate family and friends, I don’t think any of us will recount, decades from now, exactly where we were and what we were doing when we learned of his passing. We interrupt this blog to bring you a special report: Mrs. O’Toole’s cat is up a tree again. The fire department is on the scene with a ladder truck trying to effect the rescue. Now back to our regularly scheduled (escapist) programming. Agree completely. How dare they interrupt Jeopardy with that . A talented man, a celebrity, but not national icon. What’s next– the status of the Kardashians?